Paul Koh is a Singapore-based artist who has created a quirky body of work based on his own two real-life cats Halo and Angel. You can follow this link to see this “Red Scooter” image printed on a variety of objects like magnets and tote bags. 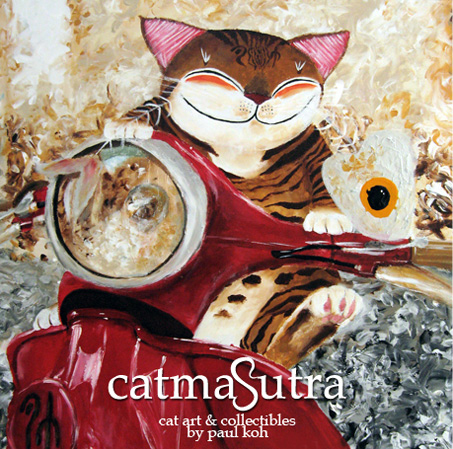 This entry was posted in Art, Miscellaneous and tagged catmasutra, cats, scooter, vespa by Tracy. Bookmark the permalink.